Comfortable single-level home w/ sunny patio, close to the coast & Noyo River! Property 3: Comfortable single-level home w/ sunny patio, close to the coast & Noyo River! Sandy Clove Cottage creates a private getaway with nature in Fortt Bragg. Property 4: Sandy Clove Cottage creates a private getaway with nature in Fortt Bragg. Oceanfront cottage w/ private deck, firepit & amazing views - minutes to town! Property 11: Oceanfront cottage w/ private deck, firepit & amazing views - minutes to town! Become inspired by the sea views from the deck! Dog-friendly too! Property 12: Become inspired by the sea views from the deck! Dog-friendly too! Gorgeous waterfront home with easy beach access, free WiFi, and more! Property 13: Gorgeous waterfront home with easy beach access, free WiFi, and more! Whimsical, unique cottage - unplug & get away from it all! Property 16: Whimsical, unique cottage - unplug & get away from it all! 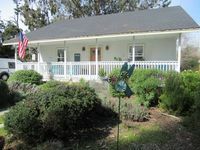 ROMANTIC, ARTISTS PRIVATE FOREST SUITE, 5 acres Redwoods, Trails, Mendo 2 mi. Property 20: ROMANTIC, ARTISTS PRIVATE FOREST SUITE, 5 acres Redwoods, Trails, Mendo 2 mi. Oceanfront home w/private hot tub, views from deck, up to 4 dogs welcome! Property 21: Oceanfront home w/private hot tub, views from deck, up to 4 dogs welcome! Charming coastal property with stunning ocean views perfect for your next trip! Property 22: Charming coastal property with stunning ocean views perfect for your next trip! Ocean view cabin w/ deck and garden, a short walk to the beach and lighthouse! Property 23: Ocean view cabin w/ deck and garden, a short walk to the beach and lighthouse! Property 32: Oceanfront Luxury! Breathtaking Location! Oceanfront home with gorgeous views near trails to the beach! Property 34: Oceanfront home with gorgeous views near trails to the beach! A cozy retreat, warm and inviting & just two miles from town. Property 35: A cozy retreat, warm and inviting & just two miles from town. Cottage w/ deck & wood stove - walk to the ocean, beach, & bluffs! Property 38: Cottage w/ deck & wood stove - walk to the ocean, beach, & bluffs! Waterfront home w/ private hot tub & secluded garden - minutes to beaches/towns! Property 39: Waterfront home w/ private hot tub & secluded garden - minutes to beaches/towns! UNIQUE, AFFORDABLE, MAGICAL FOREST HIDEAWAY HOME! Property 45: UNIQUE, AFFORDABLE, MAGICAL FOREST HIDEAWAY HOME! Charming home with Ping-Pong and WiFi, walk to close parks & shops! Property 46: Charming home with Ping-Pong and WiFi, walk to close parks & shops! Dog-friendly home w/ocean views right outside your windows & a private hot tub! Property 47: Dog-friendly home w/ocean views right outside your windows & a private hot tub! 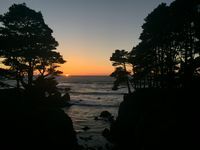 Loved the view and ease of getting into Fort Bragg as well as various beaches. WiFi etc was great. Only issue was lack of coffee maker, did have a lovely coffee press with beans and grinder but not easy to heat and measure water. Bed was a bit hard for me, but that is a personal preference. Would love to visit again! Very nice little house. Clean, and close to amenities. I would stay there again.